Boral Limited manufactures and supplies building and construction materials in Australia, the United States, and Asia. The company offers aggregates, ash, asphalt, blocks, bricks, cement, cement additives and dry mixes, concrete, decorative concrete, grout, lime, oxides, pavers, plasterboard, plastering DIY bags, retaining walls, roof tiles, and sealers; and pool surfacing, quarry, sand quarry and specialized, stabilization, stone, and structural timber products, as well as timber cladding, decking, and flooring products. In addition, the company is involved in the transport and property activities. It provides its products for the residential and non-residential construction, and the engineering and infrastructure markets. 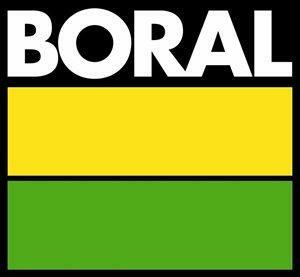 Boral Limited was founded in 1946 and is headquartered in North Sydney, Australia.